Author and Professor Scott Cawelti grew up in a small, quiet Midwestern town in Iowa which was rocked to its core in 1976 when a complete family, including 2 small children, was violently annihilated in their home. 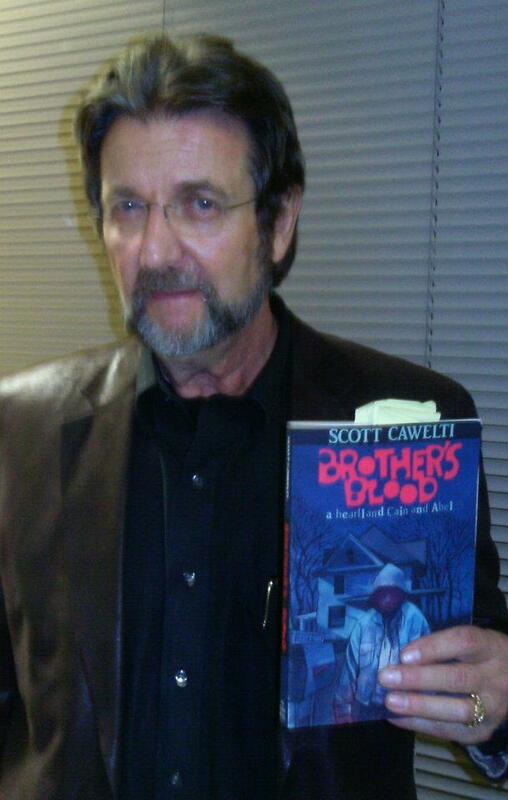 Brother’s Blood: A Heartland Cain and Abel (Ice Cube Press) relates the true story of murder, anger and greed within a family considered pillars of the community. Jerry Mark, Cawelti’s high school friend, was a Peace Corps volunteer, lawyer, 4-H leader, vice-president of his Cedar Falls High School senior class, and certainly a most likely-to-succeed young man when he graduated in 1960. Sixteen years later he was convicted of four cold-blooded execution-style murders of his own family. This book is not a whodunit but a whydunit. This account engages readers with the actual facts: the killer’s cross-country motorcycle ride, the landmark investigation in which the murderer was fingered in ten days, the trial where circumstantial evidence was used to make a powerful case against him, and his appeals which continued for three decades. Scott Cawelti and murder victim Jorjean Mark’s father, George Colthurst, join the show to discuss this case which has been compared to Capote’s In Cold Blood. Jerry Mark, convicted and sentenced to 4 consecutive life sentences, has served 35 years and continues to profess his innocence and use all the appeals afforded to him. Scott Cawelti was born and raised in Cedar Falls, Iowa. He attended the University of Northern Iowa (UNI), graduating with a vocal music education degree in 1965 and a Master s Degree in English in 1968,and a PhD in Modern Letters from the University of Iowa in 1978. Dr. Cawelti taught at UNI from 1968-2008 and continues to teach a variety of courses as an adjunct since his retirement. He has published two writing textbooks and edited The Complete Poetry of James Hearst, (University of Iowa, 2001). Scott Cawelti is not only a professor and author, but is also a musician. 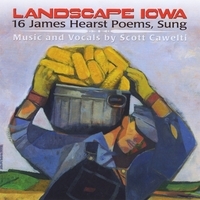 His CD, Landscape Iowa is a compilation of poems by Iowa poet James Hearst set to music in the acoustic folk music style. What an absolutely chilling story!!! From the conversation, it appears to be “richer in motive” than “In Cold Blood,” but just as heinous. A lazy man not motivated to earn his inheritance so he poses as an upstanding citizen for years with all of his pent up anger and then POW- slaughters even innocent children in their sleep? What a SICKO! Just incredible. He thought that money would no longer “keep him down on the farm.” Instead he probably got the chain gang! FYI… as an aside, some have compared the vicious murders of the William Petit, Jr. family to “In Cold Blood.” There are only two people that I think would qualify to write THAT book – Diane Fanning due to her impeccable research and storytelling ability or Susan Murphy Milano…. She has lived what no one else has – a real life Human Inferno who can capture the emotion and context like no one else! Stay tuned for THAT book in the fall!